Two blog posts in one day is super rare for me but I had to come on here to let you guys know that MANY of the boots in my best boots for fall & winter post are on SALE! So basically they are on a sale that ends on 12/9 PLUS on top of the already discounted price you get an ADDITIONAL 25% off because they have their friends and family sale going on right now. What are you guys still doing here, run and get those boots on super sale! 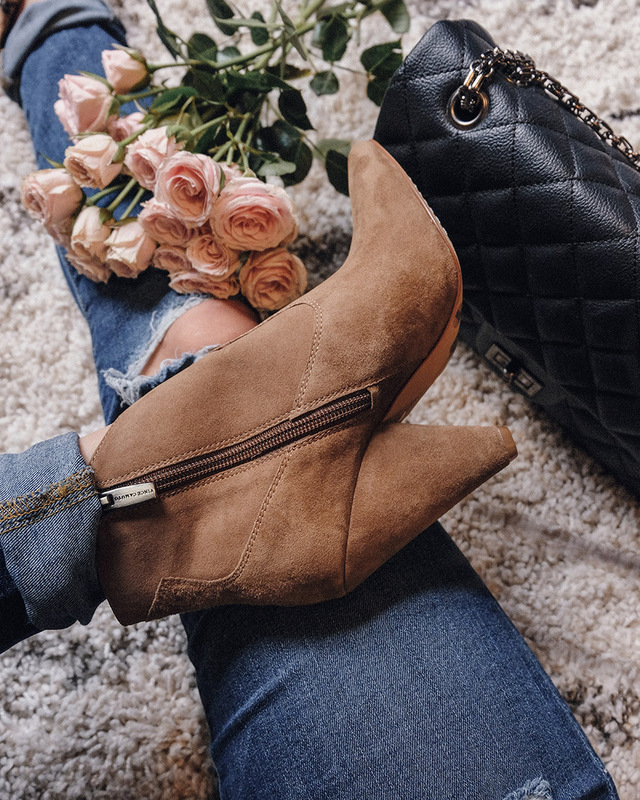 I've rounded up my picks in the widget below, just click on the photo of the boot and it'll take you to the website (add the boot to your cart to see what it will be with additional 25% off!). Happy shopping babes! My top three picks are these knee high boots, these knee high boots in black suede, and these block heel ankle booties. Click through the widget to see all my picks! Also want to mention that almost all of these styles I mentioned are fully stocked in sizes/colors. Bloomies is the best and it's my secret to getting popular items that are usually sold out at other retailers! Not sponsored I promise, just love them. Quick update: the Dolce Vita coop tall boots are on sale for $140 in black HERE! It's the best price I've seen for them!